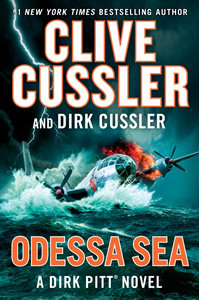 Dirk Pitt, the director of the National Underwater and Marine Agency, is on the Black Sea, helping to locate a lost Ottoman shipwreck, when he responds to an urgent Mayday—"Under attack! "—from a nearby freighter. But when he and his colleague Al Giordino arrive, there is nobody there. Just dead bodies and a smell of sulfur in the air. While investigating a toxic outbreak in the Caribbean Sea that may ultimately threaten the United States, Pitt unwittingly becomes involved in something even more dangerous—a post-Castro power struggle for the control of Cuba. A potential breakthrough discovery to reverse global warming...a series of unexplained sudden deaths in British Columbia...a rash of international incidents between the United States and one of its closest allies that threatens to erupt into an actual shooting war...NUMA director Dirk Pitt and his children, Dirk. Jr. and Summer, have reason to believe there's a connection here somewhere, but they also know they have very little time to find it before events escalate out of control. 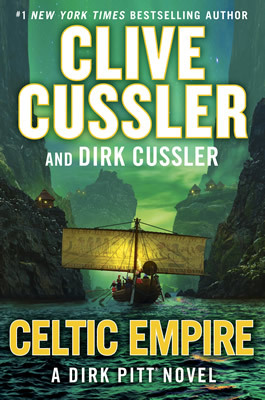 Dirk Pitt Sr. and his partner, Al Giordino, take center stage in this latest National Underwater and Marine Agency (NUMA) adventure. The two are on Lake Baikal in Siberia when a massive earthquake disrupts their research. The rescue of a scientific survey vessel and its passengers reveals a sinister agenda somehow tied to the history of Genghis Khan, one of the world's greatest conquerors. In the waning days of World War II, the Japanese tried a last desperate measure-a different kind of kamikaze mission, this one carried out by two submarines bound for the West Coast of the United States, their cargo a revolutionary new strain of biological virus. In Trojan Odyssey, Dirk Pitt battles his deadliest, and most extraordinary, foe - with help from a very unexpected source. It is July 2003. In the middle of its maiden voyage, the luxury cruise ship Emerald Dolphin suddenly catches fire and sinks. 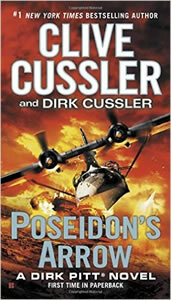 When a research ship manned by Dirk Pitt and members of the U.S. National Underwater and Marine Agency is nearly sunk by a vessel from the past, Pitt finds himself caught up in an ancient mystery with lethal ties to the present, matching wits with a malevolent and powerful adversary. Dirk Pitt's nemesis is a wealthy Chinese smuggler who has made a fortune in human slavery. Tracking his nefarious activities leads Pitt from Washington State to Louisiana, where the Chinese slaves are constructing a shipping port in the middle of nowhere. Dirk Pitt finds himself in a deadly race against time to stop a family's murderous diamond mining operations and to find the source of a mysterious plague. In 1532 a fleet of ships sails in secret to an island in the middle of an inland sea. There they hide a magnificent treasure more vast than that of any pharaoh. Then they disappear, leaving only a great stone demon to guard their hoard. August 1945: A lone B-29 takes off from Alaska for the long flight to Japan, bearing the third atomic bomb as back-up to the Hiroshima and Nagasaki bombs. Shot down just short of its target, the plane crashes into the sea, taking its secret to the bottom. When a mysterious and extremely deadly poison spreads through the waters off the coast of Alaska killing everything it comes in contact with, including several scientists and members of the crew of a Coast Guard cutter, Dirk Pitt and his NUMA team are dispatched an attempt to find the source of the poison. Dirk Pitt, death-defying adventurer and deep-sea expert, is out to the ultimate test as he plunges into the perilous waters of the Pacific Vortexa fog-shrouded sea zone where dozens of ships have vanished without a trace. In 1954 Vixen 03, a top-secret flight bound for the military's testing grounds in the South Pacific, crashes and is never recovered. In 1912, the RMS Titanic went to the bottom of the North Atlantic in one of history's most infamous maritime disasters. Seventy-five years later, it is discovered that Titanic's hold contains a shipment of a rare mineral, the only available supply in the world large enough to power a top-secret and vital United States defense program. Dirk Pitt is summoned from his vacation on the sunny beaches of California and sent to the Arctic when an iceberg is discovered that contains the remains of a missing luxury yacht. 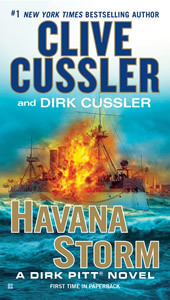 Dirk Pitt is up against an international drug smuggling ring and the evil Bruno Von Till, a German pilot who survived both World Wars to become one of the most ruthless smugglers in history.